Self Storage Software Reviews Recently Reviewed! Pros: Easy set up and availability to customer service. Small company in relation to others, but large enough to have lots of bells and whistles. When I call I can talk to the owner, or the start up person that did the Accounting service, (Ty), or the one in charge of website optimization, these are all owners of their individual part of the company, but all reside within the company. The last two were employees, but were encouraged to branch off and own their own part. Cons: Don't have any. Small always has some drawbacks, but I like how they treat their employees and am willing to wait for some updates. Overall: I've been with Easy Storage Solutions for over 4 years and just recently started a new facility. Hard to put in words, excellent prices for their service. I just talked to their biggest competitor and he said they are coming out with a new product, just to compete with Easy Storage, he brought it up. I also read a magazine article (The National Storage association magazine Feb 2019) that talked about Easy Storage as an expert in artificial intelligence related to storage units. Easy Storage is has been in the industry for 10 years now and they now have over 3000 clients and all the bells and whistles you could want. Just think, you can have independent management of you manager and cheaper than you can do it in house. The best part is their service, you never wait to talk to someone and they call you in their spare time looking for something you need help with. Each time they called me, I solved something that was bugging me. 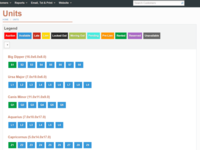 Pros: Ease of use, Full Featured, but probably for us one of the top features, being able to adjust and change our own site map without paying for or waiting for changes. Updates are automatic, being cloud based you get everything as they change it, and most everything so far has been for the better. Some features we do not use at our facility, but it does not hinder or interfere with our daily use. Cons: This will probably only relate to a few, but our state charges sales tax on Storage, if a tenant makes a multi month payment, the system will not calculate the tax accurately, it's off, we understand how it does it, we just can't seem to convince them that it's a bit annoying. Also, we would like to have the ability to create custom reports, they have a good selection of templates, however "we" know what "we" need, it would be nice to just get that information and not excess information. I realize that is probably picky, but they asked for Con's. Overall: A cost effective service that we can operate in house or remotely, and that provides us with all of the important information our facility requires. It is updated on a regular frequency, with zero to very little down time. Basically its a system that's there exactly when you need it, and with the Gate and Payment interfaces, you will struggle to beat it for the money. Comments: Columbus Storage has been in business for 9 years. We have two locations in central Indiana and are family-owned. In our market there is a large company with 5 locations in my backyard and over 500 locations in 3 states. We needed to compete on a level playing field. 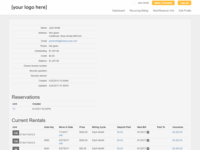 Our competitor has a web presence with 2 key elements that allow customers to rent units and pay online. We started a search to acquire a program with the same features, especially since we found that the younger generation does all their searching for products and services online. We were using a generic invoice program and Excel spread sheets with Yellow Pages advertising to operate our business. Looking back, I see now that we were operating in the Stone Age. We priced several companies and considered their features. Most were highly overpriced and suited for large corporations. After several weeks of looking over and running demos of Self Storage software, we were fortunate to contact Easy Storage Solutions. Easy Storage Solution's software has many special features designed for the Self Storage industry. The price is suited for any size company, from small to large. The software is so easy to use and is packed with many tools to operate your business. It includes a complete web presence where customers can rent online, manage their account and pay online. There is a recurring billing feature that charges your customer's debit or credit card automatically on the day rent is due (A GREAT FEATURE). Invoicing is no longer a pain; the software keeps track of all balances and late fees. Invoice day is now just a click or two and off to the printer. The conversion to Easy Storage Solutions was very simple. The owners and staff are friendly and know our industry. Within two weeks after contacting the company we were up and running our new operating software. The customer support is top notch. We have been using the software for 3 ½ months now and could not be happier. We currently have over 25% of our customers on recurring billing and several more paying online. Our bottom line has increased and collections decreased. Easy Storage Solutions has put our company on auto pilot. We spend a lot less time on daily operations. The software pays for itself. We have rented to several individuals and companies from our website. They click on our web page, rent a unit, pay and sign an e-agreement, receive their renter's instructions and start renting. What a great concept. Easy Storage Solutions is not just a business partner; they are part of the Columbus Storage team. We recommend you sample their demo and contact their office if you are serious about improving your company and your bottom line. Pros: EASE OF USE LIKE THE TITLE AND ESPECIALLY CUSTOMER SUPPORT. WE HAD AN OLD DOS SYSTEM AND IT WAS LIKE GOING FROM A SKATEBOARD TO A LEAR JET IN AN INSTANT. THE SPEED OF THE SYSTEM IS WONDERFUL AND THE REPORTS DO IT ALL. Cons: UNFORTUNATELY WE CHARGE THE FIRST MONTHS RENT AND PRO RATE THE SECOND MONTH WHICH ALLOWS EVERYONE TO PAY ON THE FIRST OF THE MONTH THERE AFTER AND THERE ARE A FEW GLITCHES IN THE SOFTWARE THAT I THINK THAT NEEDS TO BE FIXED BUT ALL IN ALL WE ARE ABLE TO WORK IT OUT. Pros: Easy Storage Solutions is easy to set up and it is easy to navigate around the software to find the task you wish to perform. It is convenient in that there are multiple ways to access specific tasks, such as taking a payment. The software doesn't log off the user when inactive for a period of time. We find this useful when you have customers who are in a hurry and the software is ready to go. There is no shortage of support; by phone, by email or a link through the software where you can perform a search or chat online with someone from ESS. It has a basic look, which is great because it's not distracting. It is not overwhelming to use because of large amounts of instructions you have to read first before you can accomplish anything. We were quite impressed that we received an online rental customer 40 minutes after activating our online presence! Cons: It was difficult to build our facility map and not make it look like I had a few cocktails too many during the building process. It is not something I feel proud enough to put on our website. I know there is a mapping tool out there that enables your facility to build a map that looks more professional. Overall: Basically simple to set up and simple to use. The only issue was the building of our facility map because it is difficult to control the sizes and shapes of every individual unit. Recommendations to other buyers: There are basic written instructions on facility setup and after that you are on your own with the help of support if you need it. Be prepared to give yourself lots of time for setup and learn as you go, which is the same for any new software. We took about one month. Get plenty of sleep prior to building your facility map. The most difficult part was setting up our payment gateway as we have never dealt with this before. Overall, a great experience! Pros: I don't have much of a profit margin and they were very reasonably priced. It is the first facility I have owned and they were willing to answer questions about rentals that didn't even pertain to the software. They are always easy to get a hold of when I have a question or concern. Cons: The software does not allow me to keep track of my expenses and does not integrate well with other bookkeeping software. It also keeps recurring billing going after move out if you don't go in and manually turn it off. Why would it bill on an archived customer who is no longer renting a unit. I feel like all of that should automatically stop once the tenant moves out and is archived. Overall: It was very easy to set up and work with. I like that it sends out notifications with invoice information and lockout notices automatically. 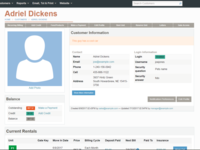 I can log into my account from my phone and view customer profiles and even make payments and set up new customers. It has several report features that help with keeping track of customer payments, lock outs, late payments, collections and financial information including deposit slips and much more. Customers can rent and pay online, they can even place themselves on a waiting list and I will be notified via text message and e-mail. For a few extra dollars a month they keep my Google ranking up so I appear on the first page of a storage search in my area. They designed and manage any changes I want to make to my webpage. Over all it is a very good product for the price. Pros: Easy to learn... beautifully SIMPLE! Always fast support... super friendly people & they really respond to suggestions--the program keeps improving. I especially love the check 'batch' deposits, with our smaller business we don't need to close out each day, can just batch the payments at our convenience. Super easy low flat fee for Card payments, more than 1/2 our customers now pay automatically (awesome). Letters are easy to create & customize, and it's easy to email letters, reminders, & receipts. We now only print & mail Liens, saving time & paper. I've used other programs and found them complicated & visually too 'busy', this one earns its name of Easy. Cons: I would design some reports a little differently, to put more data on a single page. That's about it. Overall: Made it super easy for me to take over the management of 3 RV Storage lots. Saves us time since more than 1/2 our customers now pay automatically, with a low flat-rate Card option. Excellent support when needed (which isn't often since it is so easy to use). Beautifully simple program reduces stress in my life (which takes more skill to create than the over-complex, clunky programs!). Pros: Easy to use, online based, capability to have multiple access it at one time, great interface with credit card vendor. Overall: I have owned and ran a small self storage facility (110 units) for about 9 years. I had always done my bookkeeping and billing with a simple computer based software program and excel spreadsheets. I had a paypal button on my web page that would allow tenants to pay online and then I would manually enter payments to my software and spread sheets. This was time consuming and confusing to anyone else trying to log data. I decided I wanted to upgrade to a internet based and through a self storage forum discovered Easy Storage Solution. The price was very reasonable and it was what I was looking for. Being "hands on" I had a lot of questions about how their website worked and the interaction with the credit card processor. Luke done a great job of explaining and calming my fears of something new. Everything was clearly spelled out and I bit the bullet and signed up. In a matter of a day or so Easy Storage Solution had my site up and running. They transferred my domain and had my webpage running very quickly. The tutorials helped me enter my data and customers in no time flat. I was even able to edit my web page with their easy to use online access. Kristen helped me set things up and she is very attentive to me as a customer. After using this online based management site I don't know how I got along with out it. I has cut my time to 1/10 of what I was spending before. I like that since its internet based, two or more people can be logged in at one time; (one entering a deposit and maybe one adding customers) It works very good on mobile devices, which the tenants like. The tenants have great access to their payment history. Great product and great people to deal with! Recommendations to other buyers: Great support! Pros: ESS makes things so much easier for my customers. They love the ease of paying online and I like that they never leave my website to do it. I like the ability to send texts to my customers. The customer support team really works hard to help when there is a problem and they are usually very quick to respond! Cons: The QuickBooks integration for desk top users doesn't work well for me. I'd prefer to be able to download iff. files that have been linked with my various QB accounts that will help me to track and categorize individually, security deposits paid, security deposit refunds, sales tax, retail sales, insurance, insurance fees rent, and fees. As it stands now I have to make monthly GL entries for each of these where I didn't need to with my prior software. I don't like the multiple payment buttons in the payment screen. They are confusing to me and my customers. When trying to pre pay a customer with multiple units and one check I have to enter the payment multiple times, this again make added work for me. Auto payment texts, I discovered the hard way, are not good as they come at crazy hours that woke up several of my customers (I wish I had known this before it happened). I'm in Texas and like to use the TSSA rental agreement, but it's so frustrating they should really let folks know the system does not work well with Blue Moon. If you decide to continue with TSSA contracts and Blue Moon you will be doubling your workload. Overall: ESS has made my customers happier with dealing online with us. It keeps my customers on my website and the customer support here at least listens and considers potential upgrades and helps work through any challenges in a friendly way. Comments: Although this is one of the easiest programs we have used. We were promised the Quick Books link and are looking forward to this upgrade. Pros: Our customers love our website!! They rave about the ease of sign up and payment. Online check-ins have increased our tenancy by at least 30% and we seldom miss the chance to acquire a new customer. Online payments have increased our collection rate 35% due to Easy Storage text email reminders This program makes it easier to keep track of all of the income from each individual customers. Year end calculations done on this program make our taxes a snap. This program has allowed us to increase our income on our property by 90% while also increasing our collection rate from 60% 98% This was the best decision we ever made at our facility. You can backup your own information by downloading any of the reports to your computer. Also, we have everything backed up on multiple secure servers. I think there must have been some confusion about QuickBooks. We do integrate with QuickBooks Online and have a download for QuickBooks Desktop. We have a QuickBooks specialist that offers advice on the best route to take. Our QuickBooks guy said he reached out to you and got everything sorted out. Overall I've had a 5-Star experience with Easy Storage Solutions. Comments: I recommend Easy Storage Solutions for small operators who want a flexible, easy to use management platform that is mobile, cost effective but has excellent customer support. Pros: The features that distinguish ESS for my needs are the competitive pricing for small facilities, the full automation of leases and rental payments, and the fully web-based platform. 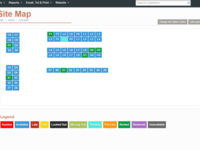 The fully web-based software means I can perform all functions using any Internet-connected device. In fact, I do almost everything on my smart phone. With the previous, more expensive product, I could do so some things on my mobile devices, but many functions required me to be at my computer. Since my faculties are unmanned and I'm always on the move, having everything available on my phone is essential. Cons: There are some limitations to the software I would like to see improved. For example, if I make a mistake and fail to credit the customer for their security deposit upon move out, there is nobqay to correct that mistake in the financial records. Fortunately they are eager for input from customers about needed improvements (moreso than the larger company I was with before). They make improvements regularly without creating a need to re-learn the software. Easy to learn and teach others. Love the program and the cost compared to other programs is great! Pros: I love the easy use of this program. Even people who have no computer experience can use it. When I was searching for a program to update the 3-ring binder system that the owners had for their storage, this one made the best impression on me. As the owners had no clue about how to use storage software, and to be honest neither did I. But this one was an easy learning curve for us all. Cons: I would like to have the option to change the date payment was made. We still have some customers that have not switched over to the new monthly recurring billing on this software. So when their payment comes out of the old CC processing, I can't change the date the payment was made to make our cc statement match. Overall: Ease of use. Converted this facility to Easy Storage from a 3 ring binder. It was not an easy task to do, but tech support helped me through each step. Good experience overall , not happy with the monthly cost rising from $34 to $59 however. This gave back much time spent accepting payments. Ability to take credit card or customer able to pay with credit cards. But it is very expensive and adds up over a year. Cons: My General web page is dull and uninviting and some photos need to be changed. Recent software changes did nothing to make working the software glide. Rather its an all over the page to up and down side to side mouse search party to use the software. Can't see half the page due to layout. Bookkeeping also does not have the diversity of reports available that I need. Printing copies or pages, reports, or customer demands of records is also tedious. Hello David! We can help you change your pictures and make your site a little bit more exciting! Feel free to give us a call! Thanks! Great service! Easy to use! Pros: The software is perfectly designed to make running your storage business and keeping track of customers, units, and rent collection as easy as possible. You can print out statements or invoices, create notes related to payments or general important information about customers or units. You can create and print multiple reports related to earnings, occupancy, etc. You can create check batches or financial reports also. There are so many useful options. Many of our customers love the option to be able to check their account, pay online, or set up recurring billing for their unit - all at our website! To top it all off, the people at Easy Storage Solutions are very helpful and friendly - if I have a question or problem, they will get back to me quickly and professionally. They are awesome people who care about their clients! Cons: The website is pretty basic and not very attractive, but we have been more concerned with having a great management system, which we do have. Recommendations to other buyers: If you have a small or medium self storage business, like we do, I would wholeheartedly recommend using Easy Storage Solutions! Their name says it all - EASY to use, intuitive and practical STORAGE software, and the SOLUTIONS to your management software needs! Pros: Everything! The ease of use, the design is simple and easy to follow, I love having it automatically backing up and being able to access it anywhere, it's perfect for a startup, small or large company! It does all that's necessary not a lot of bells and whistles just right to the point functions! Cons: The accounting part of it takes a minute to figure out what you're seeing, would love for it to indicate on the receipts to the customer what month they're paid up to! Overall: LOVE IT! Love the people that we get to work with if a problem arises. They're ALWAYS friendly and courteous and THEY answer the phone no waiting on hold forever!!! So much appreciate that!! That right there is THE MAIN reason we chose to do business with them!! Great Company!! Comments: We purchased this software about two years ago to help operate our storage company that has over 100 units. As we have several other companies, two of which are over 30 years old, we have had our share of software to either help run the actual company or to run our many pieces of equipment within the various companies. Although I have never given a recommendation about any software we purchased, I feel it is appropriate to say that this software has been absolutely perfect and that it works way beyond what we were expecting. One last comment. My staff has made a couple of minor recommendation to the software staff and they made the adjustments while on the phone. Pros: Very powerful program. Very reasonable cost. Called three times in the past with questions and questions were answered immediately. They must never sleep. I have found the software easy to learn and have had few problems. The most recent update has made customer info more accessible. For some reason our manager user name is the default user name for all customers so when I am on customer profile page I have to manually delete that info each and every time or I can't exit the screen. Thank you so much for your review! We love having you guys as part of the Easy Storage family. We just wanted to let you know we're working on the ability to send a text message manually and should be releasing it soon! As far as your manager username displaying on the tenants profile we'd love to talk to you about that and see if we can help you resolve that issue. Thank you again for your review! EasyStorage is a very user friendly software. I would recommend it to all storage facilities. Pros: This software is very user friendly and is easy to manage. The menus are easy to navigate and they system is very easy to set up. The customer service behind easy storage is A+ quality and everyone I have spoken to is extra friendly and eager to help. They are also very good with updating the software to make it even more manageable and user friendly. Cons: There are very few things I dislike. I wish they had an option under the customer's tab to select multiple customers that you wish to apply the same function. For example, if you were archiving customers and wanted to archive more than one at a time, it would be nice to have the ability to do it. Comments: We bought this storage facility last year from my Father in Law. It was run on spread sheets and peachtree with a completely separate program for the gate. It was ridiculous. Once a month everything had to be turned over to the CPA to balance the books. (The costs of the CPA were upwards of $1000. a year if you include taxes) I was spending at least 20 hours a week on paperwork alone. Then there was the billing, it was a nightmare, to say the least, that would take 2 days to complete and was Never right. We did not take plastic, either so besides all the people who just walked away (lost sales) everything was cash or check. There are a lot of people who think its unprofessional or even hinky when you don't take credit cards. We did a lot of research on companies and ended up with Easy Storage Solutions in November 2013. We could not be happier. The CPA is a thing of the past and I am looking forward to doing my own taxes this year. My paper work is down to a few minutes a day and billing day is a few "clicks" away. We no longer spend days trying to get the billing right. Easy Storage is a very easy program to run and teach to employees. The guys are always "on call". They stand behind what they say and are very knowledgeable about this program. Nate you rock. The only down side is we have a graphics business too, and this program has no place to account for it so we are still using peachtree for that, but I have faith that Jimmy and the guys will get that addressed at some point. As far as Storage Programs go this one is Fantastic. Our business is up 25% and all inside storage is full for the first time in 12 years. I could not be happier. I can now concentrate on sales!!! Pros: The User Interface is easy to use with the site map. The functionality brings most of our reporting into one place. They have the best Customer Support I have experienced in any software I have had to use, and the updates to the manager access has made the software much more user friendly. Our tenants have communicated that the love the functionality they have from the tenant portal. The cost makes it feasible for a small facility to implement and manage their facility without costing to much. This is just the right software for my small storage business. Pros: I like that this software is easy to use and if I make a blunder I have support to help me through any software support needed. There are so many positive things about this software that I cannot think of any Cons. I have used this software since 2014 and back then I could have given you a few things that I did not like, but through the last couple years there have been some great improvements. Editing profiles has become so much easier when a customer needs a change in personal information. Overall: I love the easy access and love how I can help walk customers through the payment options if they want to setup automatic payments, etc. Pros: Once set up, the software requires very little effort to keep the site updated and working. Making changes to information is simple, and while we don't use all the functionality, none of the tools we don't use get in the way of using the ones we do use. The support is also fantastic - rarely does it take more than a single 15 minute call or quick email to have our issues resolved. Comments: I am a new customer and this is the first month the software has been fully up and running. I am still learning how to use the system but the more I use it, the more I understand it. It took some time transferring my customer information into the software but that is to be expected. Pros: The text and email invoices, as well as late notices being sent out automatically, are a plus. My previous program did not have that feature and it was not accessible through the internet. Having the credit card processor integrated into the software also saves me a lot of time. I am no longer making double entries. Cons: I have customers who are confused by the invoices that are sent out. When setting up each customer you need to make sure you have all boxes checked (text, email, etc) because otherwise, you have to go into each individual account and check the corresponding boxes. Not a huge deal but somewhat time consuming. Recommendations to other buyers: I am very pleased with the customer support. Anytime I call or email, they immediately respond to my questions with easy to understand directions. I also get personal emails asking me how I am doing and if there is anything I need help with. They treat you as if you are the only customer they have. Hi Becky, thanks for your review. There is actually a global setting that turns on all invoicing and email and text invoice reminders. Sorry you did not see that feature before you went in and edited the notification preferences on a tenant level. Pros: Easy Storage Solutions is an intuitive, easy-to-use management system that our property implemented with minimal effort and training for our staff. It has changed our business in many, many ways such as reduced delinquencies, better inventory management, and revenue management. Having email and text messaging channels INCLUDED with the software at no additional cost is a huge add that we use regularly. Inquiries for support are almost always opened immediately and responses received within a couple hours. Cons: There are some small challenges with data fields that we cannot edit such as number of days past due. The software does assume a due date of the 1st of the month, which we do not have so it presents some small barriers to full utilization of the functionality available. There is no user-level access so everyone has access to all information and reports. In facilities staffed like ours, that is a challenge because staff can see all overall financial activity. Recommendations to other buyers: When evaluating software for self-storage management, discuss the details of delinquency management, customer communication, user-level access at the time of your migration so you know what it will be like when you migrate and once you reach a steady-state. Best thing I ever did. It makes my life so much easier. Pros: That I get to use it. So much easier than doing it all by hand. They have lots of support when it comes to using the software. Not only do they have a link that takes you to all sorts of questions and answers....but if I can't figure it out, they are so willing to fix it for me. Cons: When I want to do a promotions....they can't get them by renting online. They have to call to get the promotion manually. Overall: I can do thing with this software in minutes that used to take me hours. Hey Diana, Thank you so much for the review! We appreciate your kind words. We will be rolling out a way to do online promotions in the near future. Great Suggestion! Truly the best for small business, love it. Pros: I checked out about 20 different self-storage software products--it was overwhelming. I just wanted something easy to use for our smaller business (120 spaces), cheap, and that made credit card payments simple. Easy Storage Solutions is it! They have the cheapest flat rate for credit cards; I learned the system just by using it, no complex manuals needed; I get immediate friendly tech support pretty much whenever I call or email; automatic email reminders to customers are great; I can custom make & adjust standard letters; I can do batch payment deposits (larger programs make you close-out each day); and it's all in the cloud so I can access it from anywhere and never have to back up. On top of everything, their low monthly rate pays for itself in easier collections, plus it includes the website, which brought us a bunch of new customers (whatever they tell you to name your website--do it). Seriously, I am so happy with these folks it's ridiculous. Grateful to have found them. Cons: Not much. They've taken my past suggestions and added them to their list of ongoing improvements. The only thing I'd like to see that I haven't already suggested, is I would arrange the main screens a bit differently; I have some design ideas that I think would make it even easier. Recommendations to other buyers: (1) Start by realizing that no one system is going to be 100% perfect for you, and get over it. (2) Test drive them all and feel overwhelmed. (3) Sleep on it for a few days. (4) Try them all again. (5) Make a spreadsheet with columns to check off your "gotta-haves" vs your "wanna-haves." (6) Eliminate the ones that don't have your "gotta-haves" (or re-evaluate what you gotta have). (7) Choose the one where you are happy to see the screen come on. Cons: does not reverse taxes when you credit an account. you cannot call on dates for reports. cannot pick out a number of invoices to pay , if they are not in order. Hey Reg, thank you so much for your review, we appreciate it a ton! most reports have the ability to call back on certain dates, help us know what info you need an we can see if we can figure it out. 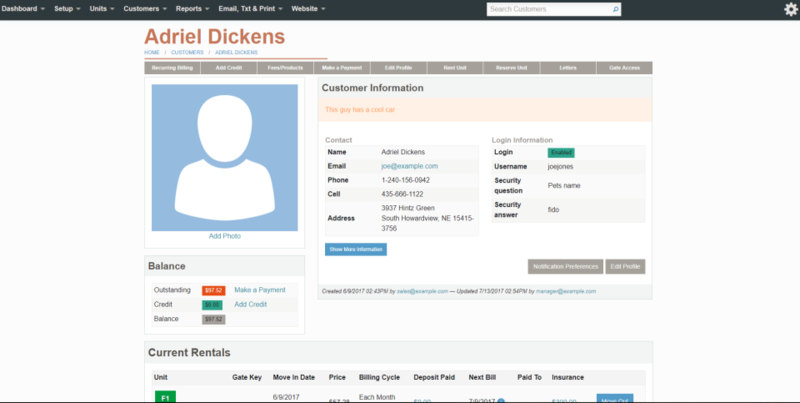 We also are working on a feature to have the ability to pick out specific invoices to pay. Again thanks for you review we appreciate your feedback! Using this software has taken my storage units to a new, higher level! Comments: I can't say enough about this software. It helps me, it helps my customers, it's a win-win all the way around. I don't even take advantage of all the features they have at my disposal, but if I did it would boost my productivity even more. Gotta make some time to get into this some more! Pros: Customers can use it with ease. It beats having to arrange times for meetings, as customers can see what is open, can take a drive by look, and make their decision. On line payments are a breeze and have boosted my receipts immensely! Cons: I agree, the map making is a bit difficult, but not insurmountable. Just takes some time and patience. Comments: It is getting better as it goes, they are always adding new features and working hard to improve any issues. You can always call them and they will fix issue you are having on their end. Cons: setting up accounts for customers is difficult for them, and hard for customers to figure out how to move out, or move to another storage unit that comes open. So basic navigate is difficult, for customers and we call regularly for help, as we do not see the tiny buttons either to move them out or to make a payment, etc..
Great, affordable software program for small storage units business owner. Comments: We started out with 10 storage units, but when we expanded to 50, I knew it was time to get some outside help because Excel just wasn't cutting it. The things we love about this software: 1) our customers have their own accounts, so they can look at their information at any time, 2) our customers can pay online (this has been really helpful for our out-of-town customers), and 3) this software does the invoices for me (which saves me hours of work at the end of the month)!! Also, like that we can update from anywhere: our phone, laptops, tablets, anything with an internet connection. We can see easily which units are available or closed, whereas before someone had to check the Excel file at home. This software is a true blessing, and we are glad we switched over!! Cons: I'd like to see an option, with a clear easy tab that show what money is being taken in and what money is being taken out each month. That would make my life easier! Pros: How easy it is to use. We're all about keeping things simple and this product helps us stay true to task! Cons: There's a couple of features I'd like to see a little more adaptable such as being able to set a few more parameters for some of the reports that allows us to print as well as offering a "to do" list capability for each unit that shows in their record as well as the task management system and which also allows us to print. Comments: We are a 48 thousand square foot facility with over 400 units including outside storage. We have used QuickBooks for 17 years. Being "old school" we wrote payments on paper, gave copies to the bookkeeper and she posted payments to QuickBooks. We continually had posting errors, report errors. etc. Then the real nightmare happened. We lost 6 months worth of client payment history due to human error. We spent several months and thousands of dollars to rebuild the QuickBooks customer history. We decided then that we had outgrown QuickBooks and started looking for Web based software. Being very cautious, we spent the next 4 months talking to self storage companies. That is when we found Easy Storage Solutions and owners Jimmy and Ken. These men were so impressive and so knowledgeable, we were convinced that their software was the solution to our massive problem. Not being computer savvy, we needed something easy. Over the next several weeks/months Jimmy spent hours on the phone with us, patiently guiding us thru set up and transferring our customer base to the new software. The continued phone support we receive is fantastic. The system is so easy we no longer have a separate bookkeeper, we can do it ourselves! The reports in the software are all we need. Credit cards was another plus to the software, it does everything for you. We did not accept credit cards until we started Easy Storage Solutions. We now feel in control of the business records, with all the information we need at our fingertips. We could not be happier with Jimmy and his team, we put these men to the test with all the help we needed. Finally our bookkeeping problems are over, we will never have to worry about loosing customer information using Web based. We can with confidence recommend Easy Storage solutions for great software and customer support. Thanks for everything! Comments: They have a lot of experience an have a good start on what a good backend platform for storage units should be. I can't wait until they get there. Comments: We took over a company that already had this software in place. We received very little, if any training, and it was easy to figure out and we keep discovering more and more reports available online that gives us invaluable information. They are consistently updating their program and trying to make things even better. They have been pretty good to answer our phone calls and get us the help we need in a timely manner also. Pros: Easy of use and the cost. Cons: The fact that you can't add and delete entries with whatever date you want. The date is always current, so you can't correct errors too easily without it looking a little confusing. Pros: I am a bit surprised at all the excellent ratings and a I am a little concerned for giving it a less than glowing report. I am not sure why everyone thinks this software is so good and wondering what am I missing. It does the job, but in my opinion it really does not offer anything to earn such glowing reports. Cons: It's confusing. It is not an all in one program. You need to have a totally separate company for processing payments, which also costs a lot. This software does not function as an accounting program. They sell that service separately from what I understand. Instead of crediting a charge you simply void it. The reports are limited and quite terrible actually. Most do not sort and only download to a PDF or CSV document. They probably offer a separate report writer for another charge if you desire better reports. They do not offer any financial reports at all other than the management report which is not professional or good quality. Lets just say it is not what I expected and I have been very disappointed in it. Overall: The business can keep running after our emove disaster. Thank you for leaving us feedback. We genuinely appreciate the opportunity to improve our software. We have a long list of suggestions from our users that we review and use to update our software. Currently we are working on creating better reporting functions in the software. In addition, we are currently working on making it so you can download your reports via CSV file or PDF. You can void charges if you wish, but there is also functionality to be able to credit a charge. If you would like help doing this feel free to call us and we would be happy to help! Finally, if there is anything we can do to help improve your experience please reach out to us! Pros: I used to use SiteLink. Good program but costly. A lot of bells and whistles I didn't really use or need. Then I switched to WebSelfStorage. The price was right but I found it difficult to use at times. It wasn't very intuitive and making certain corrections was nightmarish. I wanted to customize certain things but the option didn't exist. WSS only works well on Internet Explorer with a fairly long list of settings that had to be configured to make it work properly. Easy Storage Solutions works with any browser. Customer service was good and helpful but there were times when I felt I had to jump through too many hoops to accomplish the desired task. With Easy Storage Solutions, I find it much easier to accomplish tasks. Correcting mistakes and tailoring certain workings are much easier and more straight forward. I opted for a mobile-friendly website and now tenants can use their phone to manage their account and I can do anything on my phone that I can do on my desktop in the office. So far, I find it simple and easy enough to do everything I need to do to run the business. The learning curve has been very short compared to the previous systems I've used. Their customer service is excellent. I'm extremely satisfied with Easy Storage Solutions. In a nutshell, what I like best about Easy Storage Solutions: easy to use, works on any mobile device, great value, excellent customer service. Cons: I haven't run into anything that doesn't meet my liking. Recommendations to other buyers: Evaluate your needs and don't buy more than what you will need. Pros: Price point is rite on, and seems easy to use, very customizable, people are great to work with too. Cons: What out! These guys are shady.... storage units near me is a good way to get ripped off. Read ALL the fine print. We're sorry for your confusion about that service. Easy Storage has had a lot of requests from our clients that wanted help finding potential tenants, so we (Easy Storage Solutions) started an opt-out service to list all facilities that use our software on our Nation Wide Search website called, "Storage Units Near Me" Storageunitsnearme.com. We don't charge for leads, all leads are free, and if we can get them to convert into a rental we do just 50% of the first month's rent (this helps pay for the app/programming/overhead). no recurring charges. "Only pay for Results!" Pros: We operate a small, 138 unit, self storage facility and Easy Self Storage goes a long way in automating many of the process steps we require. If you have a question, you reach a someone who works for ESS (not a call center) who can answer that question quickly. Overall: Easy of use, implementation, intuitive and well designed customer interface, and simple to manage. Very glad we switched and have been happy with the services provided. Pros: Easy to use software allows you to navigate thru the system quickly. Able to handle our large number of facilities. Website and software are linked and allow customers to see up to date information and access their accounts. Cons: Limited capabilities in some areas, but anytime a suggestion is offered, they look into seeing if it can be implemented into their software. Thank you for the review. We're happy to take any suggestions from you and our clients to make our software better every day! Pros: Web based - easy to use on phone. Cons: Need more functionality for multi facility reporting. Overall: The representative and the entire team at Easy Storage Solutions are true professionals! They are always available and working to improve their product line. I recently added a fifth facility to their platform and will continue to work with them in the future. This is a perfect platform for a small business owner. I look forward to them improving the functionality to better support reporting for multi facility owners. Thanks for your review, and your suggestions, William! We appreciate your business! Pros: Simple, even for a computer dunce. It makes life so much easier for me as well as my customers. Invoicing, reminders, unit layouts, you name it. Had one customer who owns storage elsewhere that told me, as a consumer, he loved it, and how does he get this! Hooked him up with no reservation about it. I've enjoyed my usage of this product. And, the best part- it's helped me streamline my op and ensure I get the payments accurately! The software was easy to set-up and implement. Pros: It is easy for customers to rent a unit over their phone. It is also easy for me to make changes over my phone. Cons: Cannot import to QuickBooks without using the web based platform. The financial reports are not as detailed as the ones we received from WSS. It would be nice to have a breakdown of revenue by unit type. The yearly report could provide a lot more detail. It would be nice if it had a unit breakdown, retail sales, and lost revenue. It always reverts the state back to Alabama...this is more of an annoyance. If you run a payment under the tenant it does not remember the last payment form used. However, it does when you run under the Dashboard. Hi Kelly! Thank you for giving us your feedback with specific suggestions on what would help the software work better for you! Using Easy Storage Solutions has increased our gross revenue by 8% without adding or changing fees. Pros: Customer support is very responsive. There is always a cheerful, helpful person to answer my questions. The software is easy to use and offers all the features I could ever think I'd need. We have increased our revenue by 8% after using it for just one year. Potential clients and existing tennants can now take care of lots of things on their own (like initiating a rental and paying their rent). I also love the waiting list feature. When I got ready to prepare the facility information for year end taxes, I was completely organized - thanks to the software. Pros: I simply could not run my business without Easy Storage Solutions. The features and ease of use are ideal, service is exceptional and the team is constantly releasing updates to make the program more intuitive and improve functionality. Exceptional software at Any price....and affordable enough for even the smallest "Mom and Pop" operation. Overall: This software is my most valuable "employee", simply could not run my business without them. Pros: From website to deposits with so many useable reports. The automation of email reminders that go out automatically. The late fees are automatic and can be tailored to anyones business. Going from pencil and paper to this software was simple and quick, 130 units and we were up and running in two weeks. Easy to comprehend the the common sense logic behind the software. The support is the best!! no dumb questions, one time she actually said. "There is no such thing as a dumb question these are learning moments" . That is the way anyone wants to be treated. Cons: I can honestly say. I have not found anything. Any problem I have had there was always an answer. Overall: I think mostly is the communication with our renters is the best. With good communication this covers any problems that may go for an extended length of time which costs money. Great for looking up the History, making a phone call and documenting it in there History so when you go back to that person you see exactly what you have done and/or sent. This is what I mean about communication, especially Iam the manager and the owner can look at anyones History and knows exactly what has been done. Pros: After being totally frustrated and staying confused when I began to manage/own my first facility using Quick Books software The interduction to Easy Storage Solutions was a gift from Heaven. I found it extremely user friendly as a senior adult. Cons: Sometimes it is difficult figuring out who I should talk with to solve my problem or question when dealing with several services I am signed up with. Example, software, website, marketing, Google, etc. Overall: Since I am not very tech savvy, I found the software very friendly. Any time I have a question the solution is only a phone call away. Very happy with this software and with the excellent support team. Pros: Easy to learn and to use. Very logical user interface. 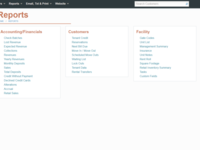 Great search features to quicky get to customer accounts. Easy to train employees on the software. Also love that the Easy Storage software team listens to feedback and continually improves the software by tweaking features and adding new features. Great value! Thanks, Faith! Let us know if you have any issues by calling our support line at 888-958-5967. This is the most helpful software I have ever used! Pros: It keeps all the data and payments so you don't have to worry about losing your info and also the tenants can pay on line, rent on line, taking credit cards is a very big plus! Cons: That we didn't have it years ago, I have no issues with the program, the customer service team always helps me out with any problem or questions I might have. Overall: All my info is in one place and I don't have to worry about losing it. Pros: This is a great company. I can't begin to tell you how many times I have been impressed with the customer service. Cons: Have I told you there was something I didn't like about this company I would be lying. Overall: The crew at Easy Storage Solutions has always been there for me. They are easy to work with and love to work hard. The software, the staff and the entire suite of services are everything you need.! Pros: It is so easy to use. To make payments, add new customer, anything you do is very easy. It is one of the easiest programs that I have used in the Mini Storage Industry. Everything that you need to know about your customer is right there. Cons: You are not notified when they make changes to software. A email would be nice. Other then that, I like everything.